The Firefly is an open-source, affordable, air-gapped hardware wallet for Ethereum you can build at home for around $5 in parts. Build it yourself for about $5 with an Arduino, a 2.4GHz radio, an OLED display and a few odds and ends. Not connected by wires and cannot send wireless signals, keeping your private key safe from hackers. Works with any smart phone to prepare and send transactions or sign secure messages. I Want to Build One! There are a lot of options and flexibility when building a Firefly. You may design your own case or use one of our 3D printable cases. 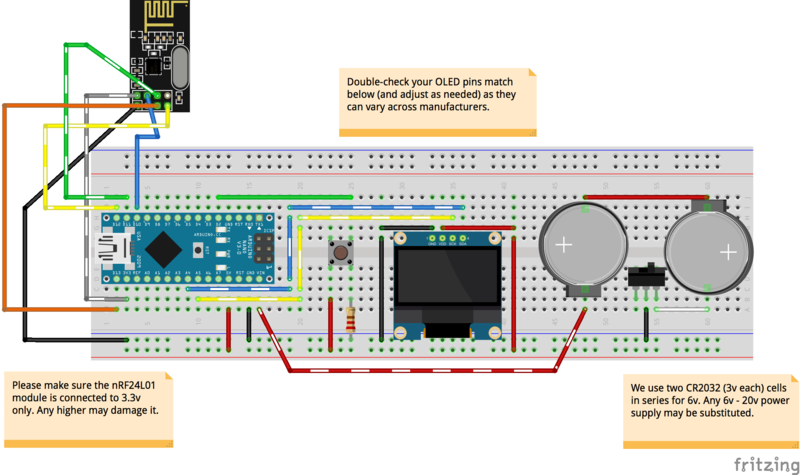 To get started, we recommend using the breadboard version. You can also customize the source code and add your own interesting features. To get started, you will need a handful of parts, which are available from many sources, varying in price, delivery time and quality. We have provided some links below to the parts, but we are not affiliated with any of these sellers. In general, Amazon will arrive much quicker, but with a much higher price tag. Items from eBay will often be much cheaper, but ship from China, so may take longer to arrive. For purchasing in large quantities, Alibaba is by far your best choice, but also the most complicated. Currently we are crowd-funding, where we allow anyone to register a subname under our firefly.eth name. The Ethereum Naming Service (ENS) allows easy-to-remember names to be attached to an Ethereum address. So instead of sending to 0xblahblahblah...blah, you can send to your-name-here.firefly.eth. We will add more details here later, but for now, you can check it out here. Copyright ©2017 Richard Moore. Some rights reserved. See GitHub.